What Will Drive Economic Success in the Next 20 Years? The spread of free enterprise has created a more dynamic, efficient, and competitive global economy, while the marvels of American technology and innovation have ushered in an age of unprecedented possibility. Where many business leaders worry about the increasing pressure for short-term profits, many in our workforce worry that the lack of training, limited benefits and unclear paths to upward mobility will limit their ability to make ends meet, much less offer their children a path to prosperity. Top thinkers discuss what the next administration and the country can do to make capitalism work better for everyone. Future of Work Initiative Honorary Co-Chairs Senator Mark Warner and Purdue University President Mitch Daniels appeared together on the panel, alongside Zoe Baird, Nik Deogun, and Mark Weinberger. 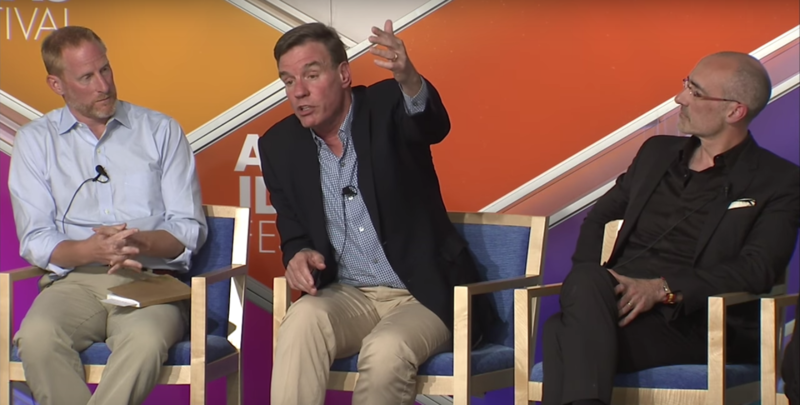 Future of Work Initiative Honorary Co-Chair Senator Warner took part in a panel to discuss 'inclusive capitalism' and its vitality to our economic health.